Finally, I'm back after more than a week of being MIA! Thanks to everyone who sent emails to check how I'm doing...I really appreciate all the thoughtfulness and concern! Sorry if I got some of you worried. I'm totally fine! I have been really busy during the past weeks, so when my camera broke, I took it as a sign that I should take a break from blogging and focus on some important things that I have to do. I'm sure you all know how busy moms could be so I know you understand...but still, I would like to apologize for my absence in the blogosphere. To all my blogger friends, I'm sorry for not being able to visit...and to all PiTCC readers, my apologies for not being able to post new recipes. And though I am here today, summer vacation has started and I have to spend time with the girls, so I still wont be as active...but I will try to post recipes at least twice a week. Hope you will all bear with me! 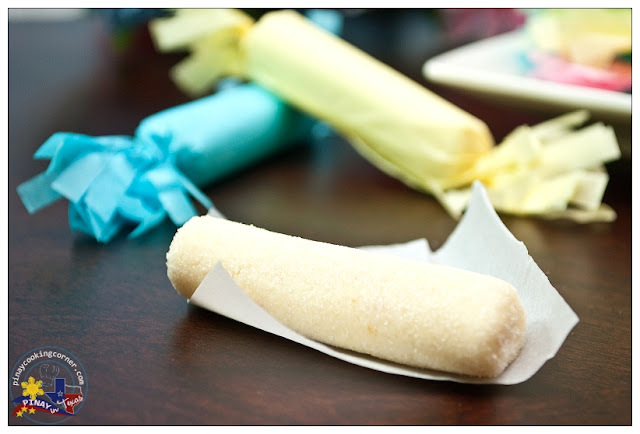 Pastillas De Leche are milk candies which are traditionally made from carabao's milk. Carabao which is the Philippine's national animal is also known as water buffalo and is the farm animal of choice for pulling both a plow and the cart used to haul produce to the market. Carabao's milk which is richer, creamier and contains protein, fat, lactose, vitamins and minerals is what gives Pastillas De Leche that melt-in-your-mouth goodness. It is simmered with sugar under low heat until thick, rolled into small cylinders then coated with sugar and then wrapped in cellophane or Japanese paper. Because carabao's milk is unavailable here in my side of the world, this version that I am sharing with you today makes use of condensed milk and powdered milk instead. It may differ a little in taste, but I assure you that you will love it! There's also no cooking involved in this one so what could be better than that? Try making these easy peasy treats with your kids...I'm pretty sure you'll all have a good time and will be pleased with how delicious the result will be! 1. 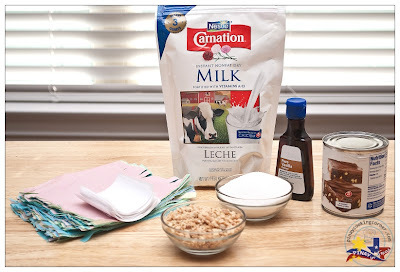 In a bowl, mix condensed milk, powdered milk and vanilla extract until well combined. Fold in cashew nuts. 2. Scoop about 1 Tbsp of mixture and shape into a small cylinder. Roll in sugar until completely coated. 3. Wrap in parchment paper and then in Japanese paper. Repeat steps 2 & 3 until all of the mixture has been used up. Welcome back Tina,I'm glad that everything is okay with you,,,interesting candy's recipe what a sweet treats,,Yum !! Hi Tina! It's so nice to see you back! These sweet treats look fabulous! They also sound very exotic to me, but perfect for this time of the year (it's really hot here). No baking, no cooking is most welcome. I happen to have all the ingredients, so I might try making it very soon. Thank you for the wonderful recipe. Welcome back! Love the candies and they are so pretty! Glad to see that you are back. Your candies do sound delicious, like a cashew fudge-yum! Also, you did such a great job on the presentation-they are packaged nicely. Great post! These no-cook treats look awesome, great for parties...simple and so tasty. Awww not to worry, Tina. Family first! We will be here to see your posts whenever you have time to share with us. Your treats are always so colourful and beautifully presented! Brings back a lot of childhood memories. Where can I buy Japanese paper in the U.S.? I only use gift tissue paper. They are almost similar to Japanese paper. Just be sure to buy branded ones like that of American Greetings and not the ones from dollar stores which are really thin and whose colors tend to bleed. Tina , I'm planning to leave a message last night why you're missing in action ! Glad you're okay :) Ha ! We'll still lurk even if you're not posting ! 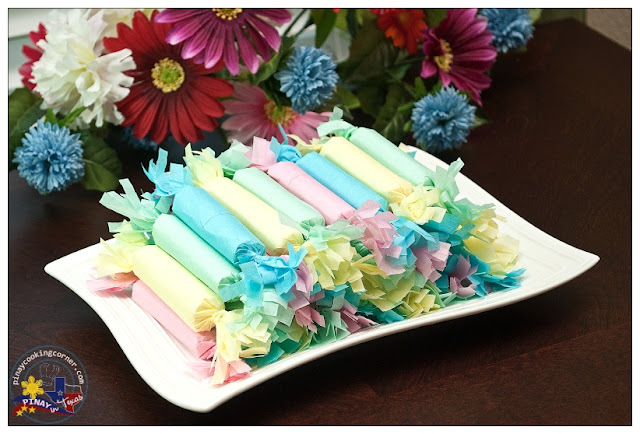 lol Anyway , these pastillas look fantastic and delicious ! I was thinking about your absence in blogosphere. These candies looks delicious. I love it Tina. Cute gift items. If you bake a cake this month please remember my event. Welcome back honey..we all understand importance of a family. Now that kids are on a summer break we need to keep them occupied! These beauties are great...what an easy recipe for such an incredible looking candies. Will have to try making with my daughter too! Thanks for sharing and have a wonderful week!!! Hi Tina, good to see you again. Love your candies and the wrappers look so cute and pretty. Very impressive, my dear. I can understand that sometimes we have other important matters which need attention and so blogging need to put aside for the moment. I too find time has become a constraint and now its like update my blog alternate days. My hubby sort of sounded me on the burning of midnight oil, sitting and working on my blog. I love the beautiful candies and the wrapping is more splendid. Its great to hear your daughters were there and enjoyed doing the wrapping. Please remind me on what I should sent the recipe over because I am starting my travel again and will be away soon. Welcome back! These candies are so pretty!! We've missed you! These candies look delish! Have a fabulous week sweetie! no way you made those? That is amazing! So impressed and they look sooo good! Glad I wasn't the only MIA! I too was gone all last week and it feels good to be back and seeing all these great recipes! Glad to see you back, Tina! Oh yes, pastillas de leche my favorite too. These treats are so addicting and I love the way it melts in your mouth. I love how you make it look so easy to make and love the idea of different colors of Japanese papers. These look so beautiful! Amazing wrapping and presentation!! Thanks everyone! Your warm comments always inspire me! hi po. just wanna ask and know if pwede po bang gumamit nang skimmed milk? at meron po bang different kinds of skim milk or nag-iisang klase lang po yon? tnx! Yes, you may use skim milk...but since skim milk has no milkfats, there'll be a difference in both texture and taste. Skim milk is also called fat-free or nonfat milk. 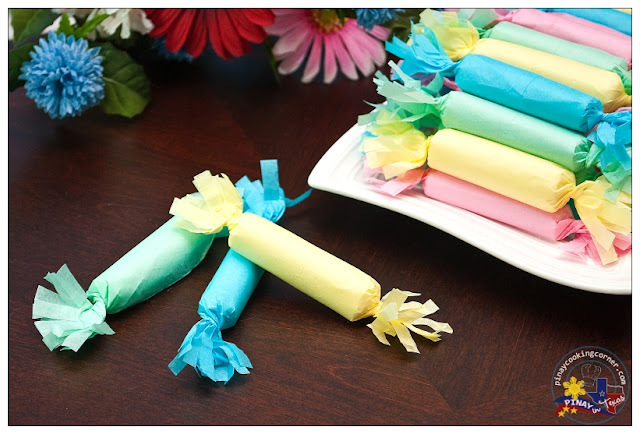 TIna, ginawa ko Pastillas last June 8 sa BDAY @ND BOY ko and they all LOVE IT!!! !Thanks 4 the REcipe!! !Kulang pa daw sabi ng mga bisita.!!! Thank you for the recipe! I want to try making this for my co-workers, how long is the shelf life for these candies and can they be put in the fridge? They can last up to two weeks without refrigeration, but the pastillas will start to harden a little bit after a week. So be sure to store them in an airtight container. Can you make toasted pastillas please. Its very popular now in the philippines. Im planning to make food giveaways for my son's baptism do you have any suggestions ? Im thinking of making pastillas too and your cookies. Sorry Carmela. I'm in the US and I haven't tried toasted pastillas so I can't recreate the recipe yet. For your food giveaways, I think Food for the Gods would be perfect for that.